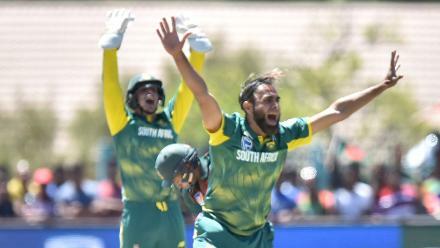 Dane Paterson made his ODI debut in the first ODI. 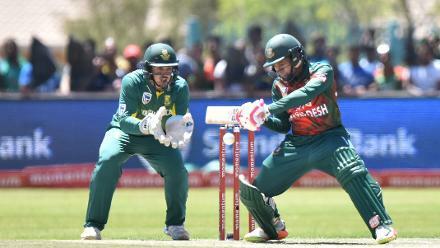 Ultimately Mushfiqur remained the last batsman standing at 110 as Bangladesh posted their highest ODI total against South Africa at 278 for 7. 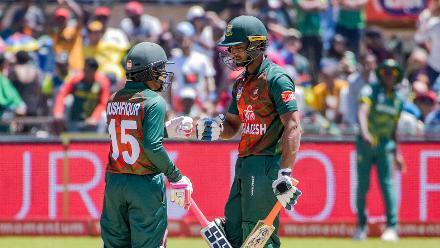 The best partnership for Bangladesh came in the fourth wicket partnership worth 69 runs between Mushfiqur and Mahmudullah. 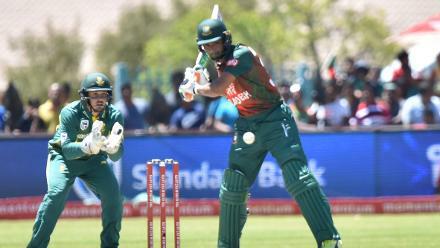 Mushfiqur's century that came in 108 balls was the first century scored by a Bangladesh batsman against South Africa across any format. 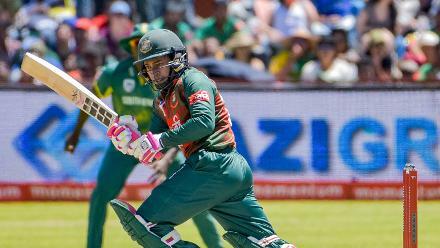 Mushfiqur Rahim put on solid partnerships with Shakib Al Hasan and Sabbir Rahman. 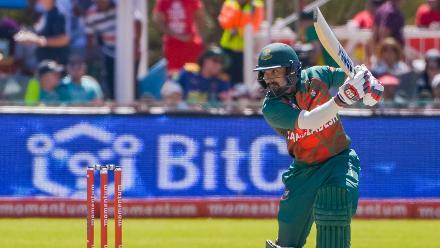 Mahmudullah also made a valuable contribution with 26 off 27 balls including three boundaries and a single six. Liton Das scored 21 off 29 balls which included four boundaries. 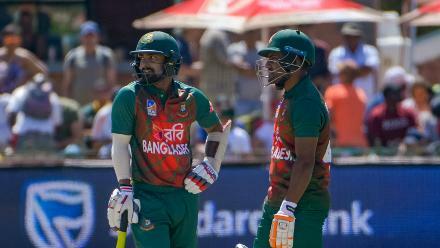 Liton Das and Imrul Kayes put on an opening partnership of 43 runs. 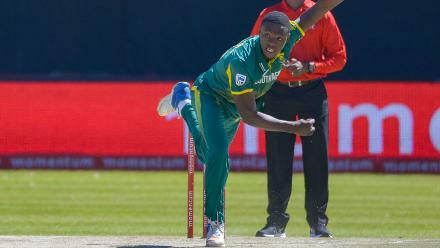 Kagiso Rabada was South Africa's best bowler with 4 for 43 in ten overs. Imrul Kayes struck a six and four boundaries on his way to 31 off 43 balls. 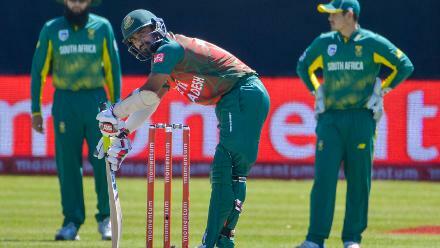 Imran Tahir took the wicket of Shakib for 29 off 43 balls. 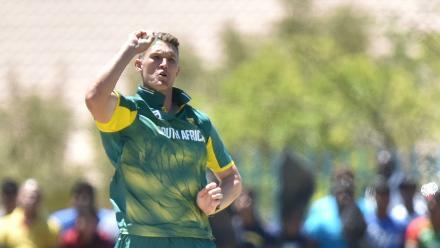 Dwaine Pretorius finished with figures of 2 for 48 in ten overs. 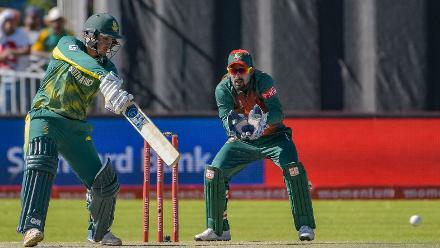 Quinton de Kock was the more prolific scorer between the openers with his century coming in as many balls and remaining unbeaten on a massive 168 off 145 balls with 21 boundaries and two sixes. 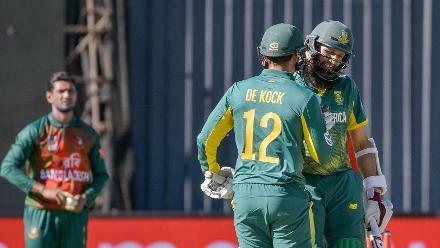 It was a thumping ten-wicket victory by South Africa as the hosts took a 1-0 lead in the ODI series. 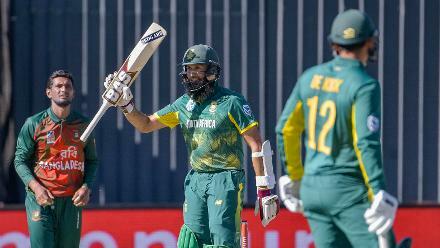 Hashim Amla's century came off 99 balls and remained unbeaten on 110 off 112 balls.